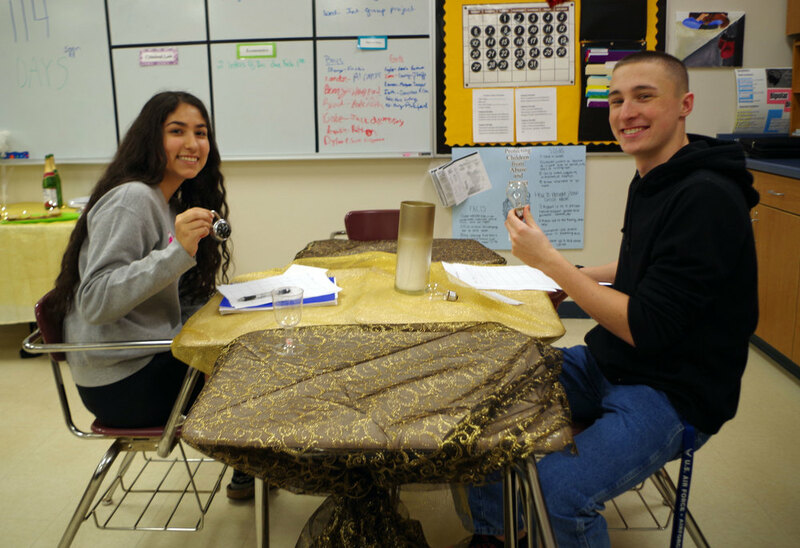 Mrs. Danko’s hosted a social science psychological speed dating activity last Wednesday, January 16. Students were being introduced to psychology vocabulary and noted psychologists (i.e. Sigmund Freud). Students came ready for the challenge! At the onset of the oral cognitive operation in which individuals framed their personhood as introverted, extroverted or altruistic, students studied each other’s voice, body language, and props to determine the identity of the psychologist that sat across from them for a limited amount of time. At the precipitation of the philosophical exercise they responded with brain cells to properly analyze the personality of the individual. How many psychotherapists does it take to change a lightbulb? Just one, so long as the light bulb *wants* to change.